Pink isn’t exactly the perfect color for NASCAR, but when it’s presented in partnership with country music legend Dolly Parton, even the burliest of motorsports aficionados stand down, if not pump their fists when they see it coming around the turn. 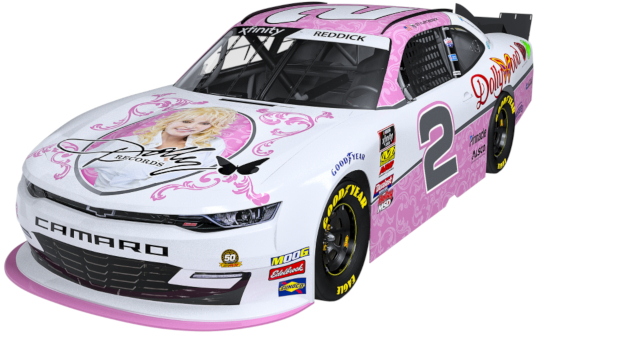 NASCAR’s Tyler Reddick driving for Richard Childress Racing will be sporting a Dolly Parton paint job for the Xfinity Series Alsco 300 at Bristol Motor Speedway this Saturday (4-6). The design package for the No. 2 Chevy Camaro is complete with Dolly Parton’s face on the hood, pink highlights, and decals for Dollywood, her signature Imagination Library charity, as well as other Dolly Parton enterprises. And don’t be surprised if he does. Tyler Reddick is the reigning champion of NASCAR’s Xfinity Series, and is the current leader in the series so far in 2019. He also finished in 2nd Place in the last race at Texas Motor Speedway. Bristol would be a great place for the Dolly Parton car to win. It’s not too far from her home in Pigeon Forge, and those boned up on their country music history known that Bristol is the Birthplace of Country Music. The current sponsorship deal is just for this particular race, but there could be more on the way. Parton and Richard Childress Racing are in discussions for a multi-race sponsorship if they can work things out. Richard Childress has his own tie-in with country music history. Hall of Famer Marty Robbins, who used to moonlight as a NASCAR driver, once saved the life of Richard Childress by steering his car into the sidewall instead of T-boning the future team owner. 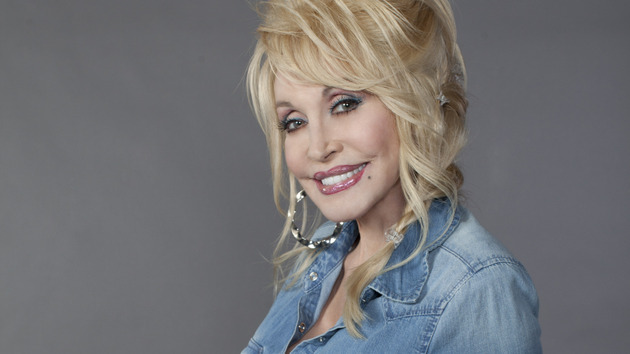 Dolly Parton’s been pretty high profile lately. She received a tribute at this year’s Grammy Awards, and has a multi-episode movie deal with Netflix on the way for later this year. I had a good joke, but Trigger won’t let me tell it cuz it’s sexist and she’s a legend, so oh well. Anyway, she definitely has the right assets to raise awareness and cash for charity. Lol, I actually love Dolly, Trig. Thanks for being a good sport, dude. It’s low hanging fruit, tbh. Trigger was all but begging for it with that title. Nothing wrong with a little low hanging fruit every once in a while. I’m a sucker for a Uranus joke myself. The rejected joke was funnier, but it’s cool. Being a NASCAR fan I love it; though I never thought I’d be saying that here. Why start off with “pink may not be” in October most cars are pink. The rest of the year pink shows up as well. NASCAR has women involved and who’s to say pink is just for females?? Marty Robbins raced a shade of pink with yellow- easy to find the images. A couple of years ago (2014) Tyler Reddick was sponsored by Broken Bow Records in the Nascar Truck Series. Broken Bow was primary sponsor for Tyler Reddick in the Xfinity series too (2017). The car was used to promote albums by Dustin Lynch, Jason Aldean & Granger Smith. (Mike) Curb-Agajanian-Racing won two Indy 500 races (2011 the late Dan Wheldon & in 2016 Alexander Rossi in an Andretti-Herta-Curb-Agajanian car). Mike Curb is a team-co-owner in IndyCar since 2001. Curb-Agajanian also owned a Nascar team for 20+ years with drivers like Dale Jarrett & Jimmie Johnson. Kim Kardashian sponsored a Nascar Sprint Cup car with driver Mike Bliss in 2010. Saw the Bristol Xfinity race & Tyler Reddick did a good job. A 2nd place in the Dolly-Chevy is not bad. You lost me at Camero. I plan to watch it run tomorrow at the speedway. Dolly has achieved saint status in East Tennessee.